Need a little help with your homework or just want someone listen to you read? 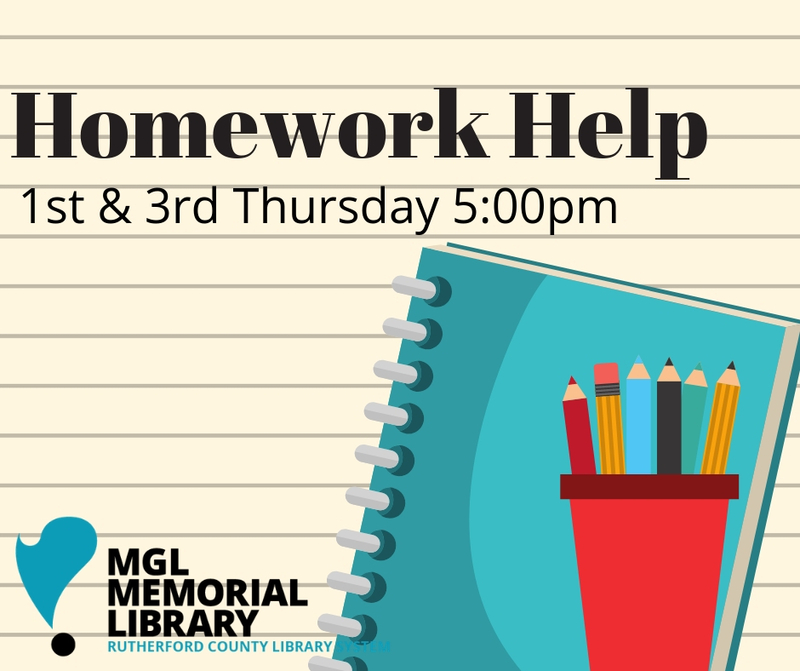 Stop by MGL Library the 1st and 3rd Thursday each month at 5:00 pm. MGL Memorial Library is located inside the Patterson Park Community Center. Center membership is not required to visit the library.